While being one of the best things to have happened to mankind, the internet is fast becoming a dreaded place where people are seeking safety from. There are a lot of factors that make up an effective internet safety system. Likewise, there are a lot of ways to stay safe and secure on the internet while also keeping one’s files and other ‘stuff’ private. One of them is using a Virtual Private Network (VPN). Asides from staying safe online, there are some other reasons why you would need a VPN. 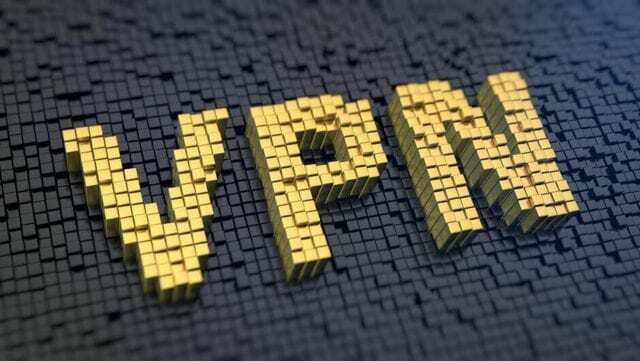 However, there are tonnes of VPN service providers and getting to choose one that best suits your need can quickly become a daunting task. This is why we concocted a list of ten (10) best VPN service providers of 2019 to use for your cyber-security and privacy and anonymity online. With 200 servers in over 50 countries, Ivacy VPN has been effortlessly providing data and identity protection services on the internet to its users for over a decade. The company is based in Singapore and its services are supported across Windows devices, Android, iOS, Linux, Smart TVs, Consoles (like XBox) routers, etc. Despite not being exactly popular like other counterparts on this list, Ivacy is a leader in the VPN ecosystem. The company is one of the pioneering founders of the “Split tunneling” technology which allows VPN users chooses which traffic goes through their VPNs and which goes through their ISPs. Ivacy is also reasonably priced. Unlike Ivacy, ExpressVPN boasts of more servers (over 2,000) in more countries (about 150 locations). However, it is more expensive and lacks some advanced features (like ad-blocking) a highly-priced VPN should have. In addition, simultaneous connections from different devices are limited at three and despite its pricey nature, there is no free trial. Want to know more about ExpressVPN? Click Here. PureVPN also rides on the waves of competitive pricing but lacks some smooth user experience and advanced features its pricier counterparts sports. PureVPN also boast od flexible payment methods as users can pay using credit cards, PayPal, Cryptocurrencies, and surprisingly, gift cards. Listed below are available plans OF PureVPN and its prices. Monthly plan: $10.95 per month. Asides offering a free trial plan which allows new users test its services, CyberGhost also packs most (not all, though) of the advanced features you could possibly need in a VPN. It also boasts of over 10 millions users across all of its supported platforms: Windows, Apple, Android, and iOS. Based in Switzerland, VyprVPN boasts of over 200,000 IP addresses and over 700 servers in more than 70 locations. It also comes with advanced features like kill-switch, VyprDNS, unlimited data usage, Chameleon protocol etc. all of which provides users with the best online security. NordVPN is competitively priced (particularly the long-duration plan) and some of it’s highlights include support for up to six (6) devices simultaneously, killswitch, DNS leak protection, 2048-bit encryption etc. Also, like IvacyVPN, users can also pay using cryptocurrencies. TorGuard is a powerful, feature-packed and affordable VPN that is best suited for BitTorrent users. The VPN is also renowned for its ability to block ads at network level. With its services located across 50 countries, TorGuard starts at $6.95 for monthly plan. Payment using cryptocurrencies is also supported. Private Internet Access is both a user-friendly and budget-friendly VPN for users conscious about their online security and aren’t willing to break the bank on a tool to keep them safe. Depending on the plan you subscribe to, Private Internet Access could start as low as $3. And it comes with robust features like torrent supported servers, built-in ad-blockers, tracking and monitoring blocker etc. There’s also support for payment using cryptocurrencies. Payments can be done using Alipay, PayPal, Credit cards, and Bitcoin.